I'm almost certain that the earth shifted off it's axis just a bit from marketers the world around jumping for joy when the PPC concept was introduced. 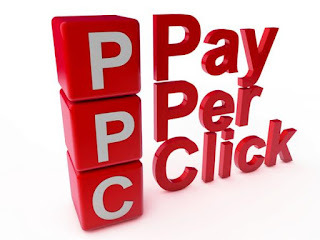 Pay Per Click (PPC) campaigns hold a special place in the world of online advertising and promotion. For the first time ever, online businesses had at their disposal a time-saving,affordable alternative to search engine optimization and banner advertising. Even more compelling: a brand new web site could grab traffic in a matter of hours, not weeks or months. A spot in the top ten for your keywords? No problem. Just bid for it. Today, PPC remains the front runner in traffic generation. Even in the face of troubling problems like click-fraud and sky-rocketing bid prices, pay-per-click remains the ideal choice for small businesses in need of a quick, reliable source of traffic. In fact, I really shouldn't even mention the potential trouble spots. Click fraud and high prices are mostly the product of the over-saturated, fiercely competitive markets. As a smart marketer aiming for the hidden niche, you'll be in much calmer pay-per-click waters. The major players in the market for “pay for placement” advertising are Google Adwords and Yahoo Search Marketing ,Chitika, Bidvertiser, e.t.c in that order, although there are Many More. Beyond the giants, you have options with smaller engines like: Excite, Adzly, Dogpile, wow, e.t.c. These smaller engines are useful if you're operating on an extremely tight budget, and a little bit of pre-launch testing. However, there's almost no substitute for Google Adwords when you're ready for real traffic. Some marketers go so far as to say there is nothing else that matters more than Google Adwords, Period. Google's market share is enormous. It's easy and quick to set up an Adwords account. Sponsor ads get a considerably larger and more noticeable, which are text links, the various network of sites. This has led to significant improvements in a number of areas already, like the account management interface and reporting tools. Close competition for those click profits will definitely spur on continued improvements. 1. You need traffic for your site. 3. You cull your keyword list and pick out laser-targeted search phrases appropriate for your site. 5. You load your keywords list into the account. 6. You indicate the maximum amount (bid) you are willing to spend per click for each of your keywords. 7. You create individual ads for each keyword/phrase, making sure to write an attention-grabbing headline and compelling body copy. 8. You fill in the url of your target page. 9. Save all, push a few buttons, and go live! 10. A searcher enters terms into the search engine matching ones you've bid on. Your ad appears in the sponsored listings. The searcher clicks your link and you are charged the amount you bid for the referring keywords or the user doesn't click, and you're charged nothing. Yes, there is way more to it than this, but these are the nuts-and-bolts of how a PPC campaign operates. The details of campaign optimization could fill an entire book. · Track your clicks. This is very important. Tracking allows you to determine which keywords are performing as expected, and which ones are money wasters that need to be dropped. · Create multiple versions of your ads for each separate keyword. You need to test out various headlines and body copy in as many combinations as you can before you discard any keywords, and definitely before you settle on “the best version of the ad”. · Closely monitor your campaigns. You should log-in on a daily basis to check current bids and position. Where to send the traffic? You can send your visitor straight to your sales page from your ad, but most of the time I'd recommend against this. Instead, you can get a lot more mileage out of your traffic by sending visitors to a lead capture page. Lead capture pages add an additional layer of “pre-qualifying” your prospect. He's already shown some curiosity by clicking on your ad to begin with, but the lead capture page presents him with more information and asks for a name and e-mail address. If he provides this information, he pre-qualifies himself further and becomes a subscriber, ready to receive your pre-sales material and follow ups. In addition to building your list, you can also use PPC traffic to simultaneously build a list and research your target market before you even create a product. This can be accomplished by setting up a survey, and 'bribing' visitors to respond by offering them a valuable freebie in exchange for their time. You can also use PPC campaigns to build multiple lists and multiple income streams as an affiliate. · Claim your “brand identity” by bidding on your own name. · If you offer reprint content at your site, you can add another layer of exposure. Do a search on Wordtracker for: “your niche + 'articles'”. You might be surprised at the number of people searching for the type of content you provide. 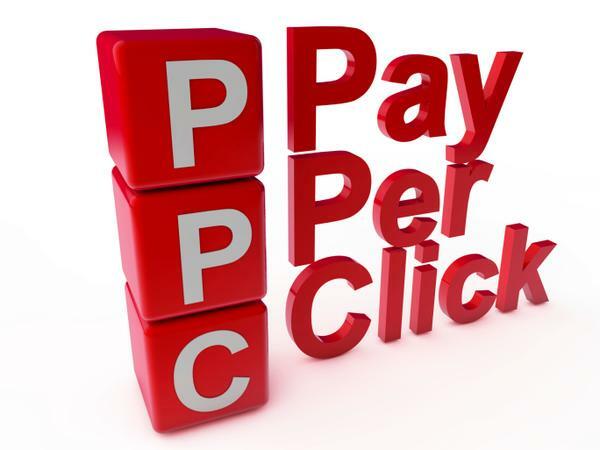 Pay-per-click campaigns are an absolutely indispensable tool for your business. Don't be afraid to jump in with both feet and learn how to play the game. If you're a true newbie to PPC, just start off light with a dozen or so targeted phrases and keep your bids super cheap, like less than 10 cents per click cheap. This will enable you to test out the process without losing your shirt. You'll soon see why this advertising method is so popular. Nothing else comes close to providing instant traffic on demand.